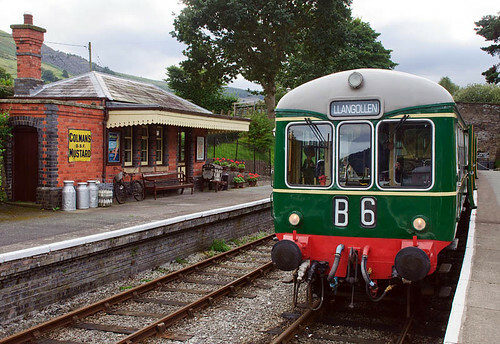 A ride on the Llangollen Railway – our train was steam-hauled, but this beautifully restored railcar* was also trundling up and down the line. *and somewhat rare – only five two-car sets were built to this design, by Wickham of Ware, who were much better known for their motorised trolleys for platelayers and the like. Rural railway, a photo by geoffspages on Flickr.